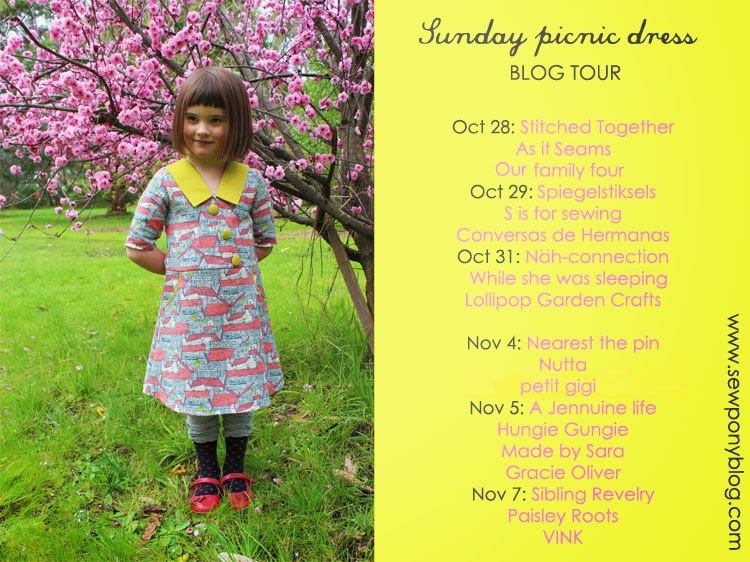 Three more LOVELY dresses for my Sunday picnic dress blog tour today!! For details on my pattern and for a 15% discount code, scroll to the end of this post. Today Renee from Nearest the pin and Shino from Nutta are sharing their dresses. Renee writes the blog, Nearest the pin and she lives the closest to me of any sewing bloggers I know (2.5 hours away). I met her recently in my home town for a play with the kids at the park. Renee is lovely and shares my love of sewing. Although, Renee is more adventurous than me and aside from sewing for her son and daughter, she also sews up lots of lovely things for herself. 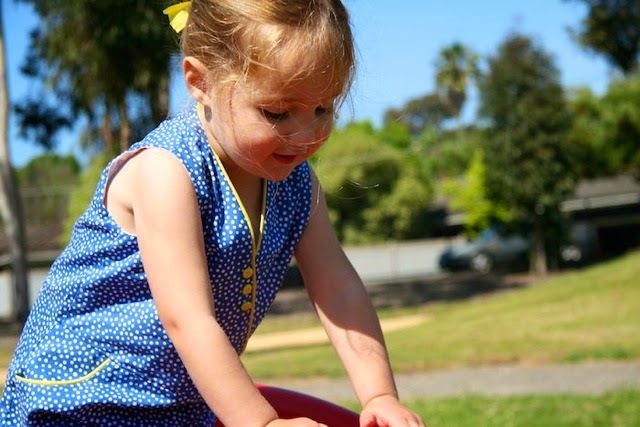 See Renee's lovely Sunday picnic dress here. Thank you Renee! Shino blogs from Nutta. Nutta is Japanese for "I sewed it." Shino is Japanese but lives now in America with her husband and two children. She started sewing only two years ago and has great style. How sweet is this little orange "miffy" dress she made her youngest daughter for Kids' Clothes Week. I discovered today that Shino also sells some Japanese fabric on etsy! 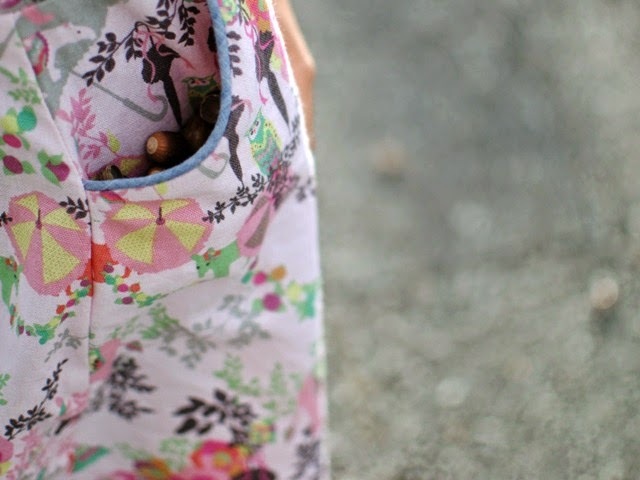 Shino helped me with pattern testing for my Sunday picnic dress and I can't wait to see more of the dress she made (pictured here with a pocket full of acorns!) Head over to Nutta to see! Thank you Snio! Thank you for having me Suz! The Sunday Picnic Dress has been one of my favourite makes of the year. I'm so envy of you two of my favorite sewers live so close! (I'm sure 2.5 hours is close enough. ha) Thanks for having me, Suz!